GoDaddy is world’s largest domain name registrar and trusted by 17.5+ million customers, more than any other registrar. They have 76 million domains under management and award-winning 24/7 support to help build your online business. If you are looking for GoDaddy Hosting promo code, then you will get 12 months of Economy Web Hosting for just $1.00*/ month. 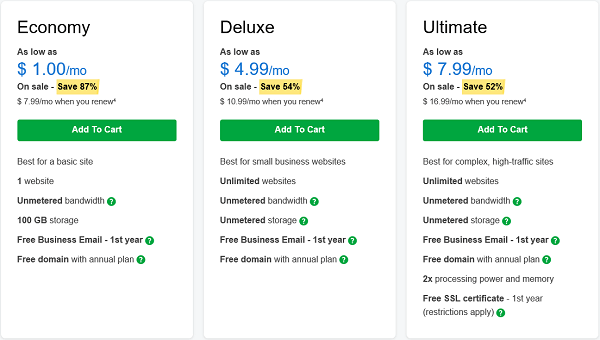 GoDaddy offers three hosting plans Economy, Deluxe and Ultimate. Economy plan is good for those who want to host single website. If you are planning to host more than one website, then go for either Deluxe or Ultimate web hosting plan. 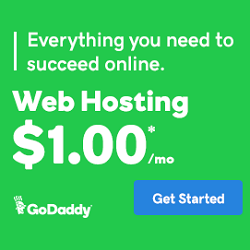 If you choose GoDaddy Economy Hosting plan, you can host 1 website and get Free Domain Name, Free Business Email, 100 GB Storage, Unmetered Bandwidth. How to Use GoDaddy Hosting Promo Code? Just go through the steps and screenshots to create your hosting account with GoDaddy. Let’s take the first step. STEP-1: Visit GoDaddy website and choose the right web hosting plan according to your need. Now click on Add to Cart. STEP-2: Next step is to search your Free Domain Name. Type your domain name in search field and click Search. If you already have a domain name and don’t want to get other one, click No thanks. I’ll pass on the freebie. If the domain name is available, click Select and Continue. STEP-3: On the next page, at the right hand side you will see an option to enter the promo code. 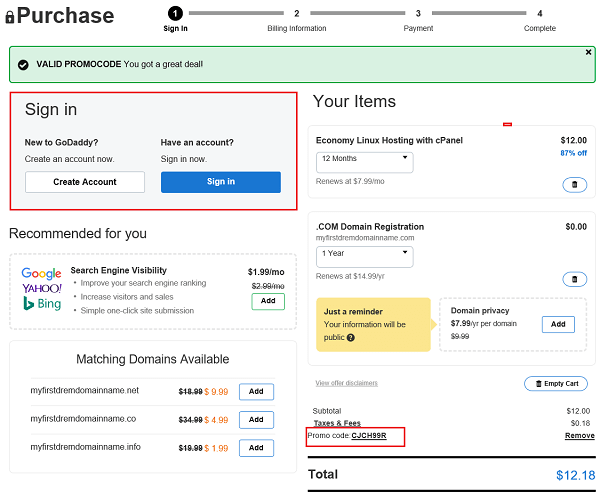 If the promo code is not applied automatically, then you need to enter the GoDaddy promotional code (CJCH99M) manually to get the discount. Now at the left hand side of this page, you will see create account and sign in option. 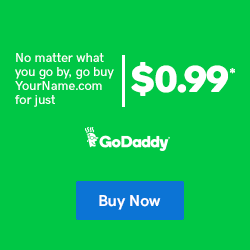 As GoDaddy promo code is applicable to new users only, so first create an account. Congratulations!!! Your GoDaddy Hosting Account created successfully. If you have any query/suggestion related to GoDaddy Hosting Promo Code, don’t forget to write in comment section.